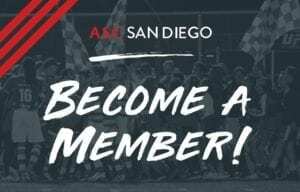 April 3rd, 2019 — ASC San Diego secured a crucial 3 points on Tuesday night in a win over High Desert Elite FC! In the second of two matches in four days, ASC ended the night victorious in a 2-1 comeback thriller. 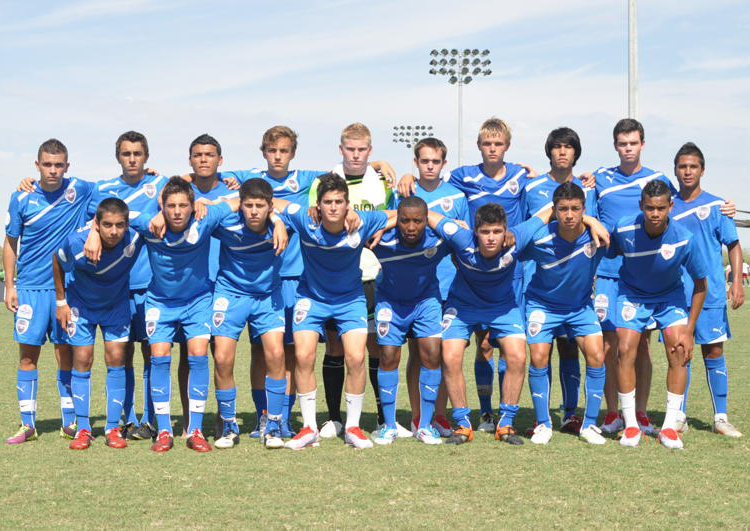 Tuesday’s match was bit of a showcase for ASC San Diego. The home side impressed the supporters with their ball handling skill and quick passing. Attempting to open the scoring in the 10th minute was Anthony Virgara. A shot that went just wide of the post, started with a well placed pass from front line mate Dallin Cutler. 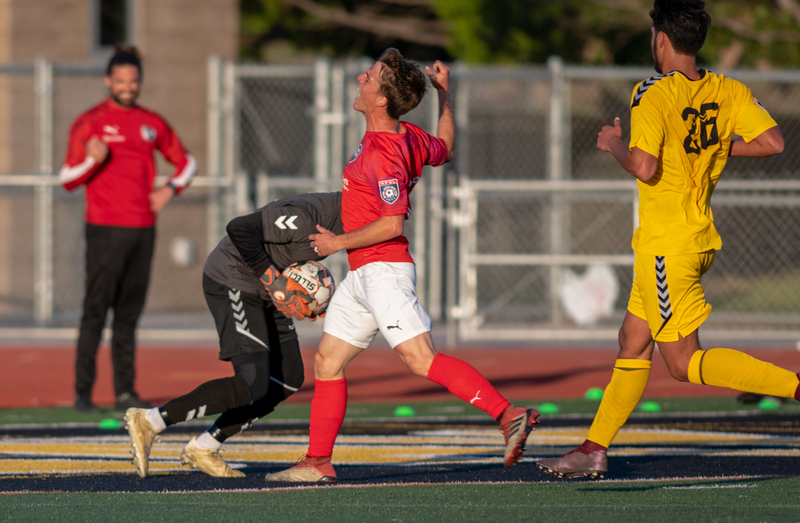 ASC had several early scoring chances including a free kick in the 31st minute by Dallin Cutler that was unable to get over the High Desert wall. 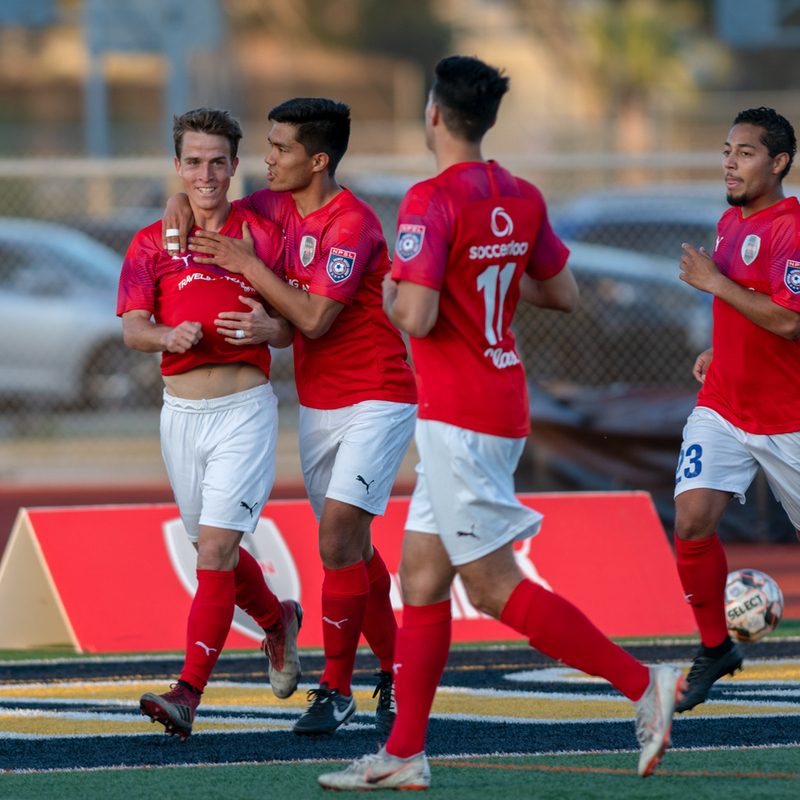 Despite ASC San Diego’s many opportunities to open up the scoring, it was the away side that was able to get the first points on the board. In 33rd minute High Desert Elite FC’s Anthony Caudle headed a long throw from teammate Adam Del Toro giving them a short lived lead. Not wanting to go into halftime without evening things up ASC’s Felipe Liborio directed a well delivered pass across the pitch onto the foot of Cutler that he touched into the back of the net leveling just before halftime. 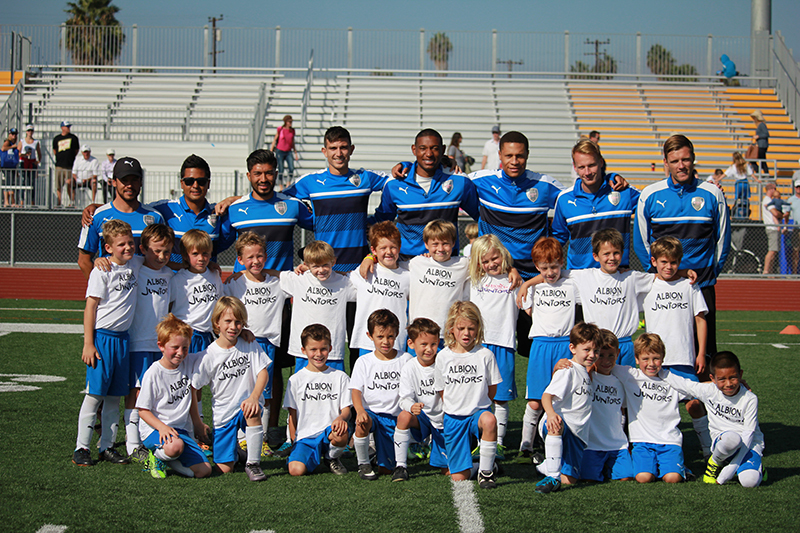 The second half brought some changes in formation on the pitch for ASC San Diego. Building an impenetrable wall with captain Kuba Waligorski remaining and moving Khadim Seye into the midfield. The switch was definitely to the advantage of the home squad as it enabled them to quickly obtain then maintain the lead throughout the last 45 minutes.The play for the men in red was much more seamless, quick, and controlled. Early in the second half ASC’s later named man of the match Cutler demonstrated exactly why he was chosen. 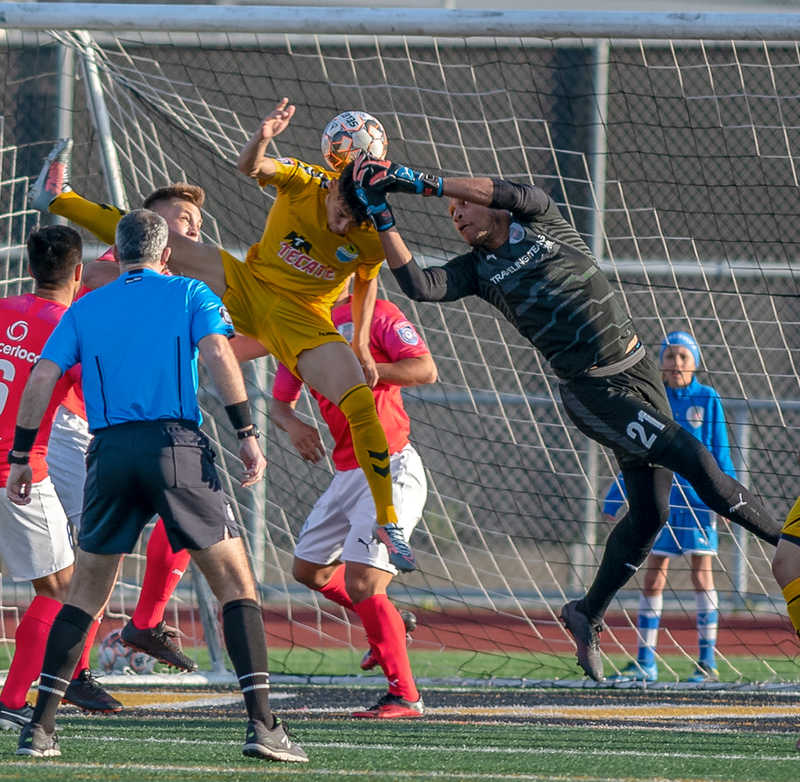 With some controlled dribbling around several defenders, the striker shot a bullet which flew past the High Desert Elite FC keeper’s reach dead center between the pipes for Cutler’s second goal of the match. The 54th minute strike proved to be enough for ASC as they cruised through the second half. The second half also saw several substitutions for the home and away sides. Both were looking to use the fresh legs to their advantage to gain some ground. 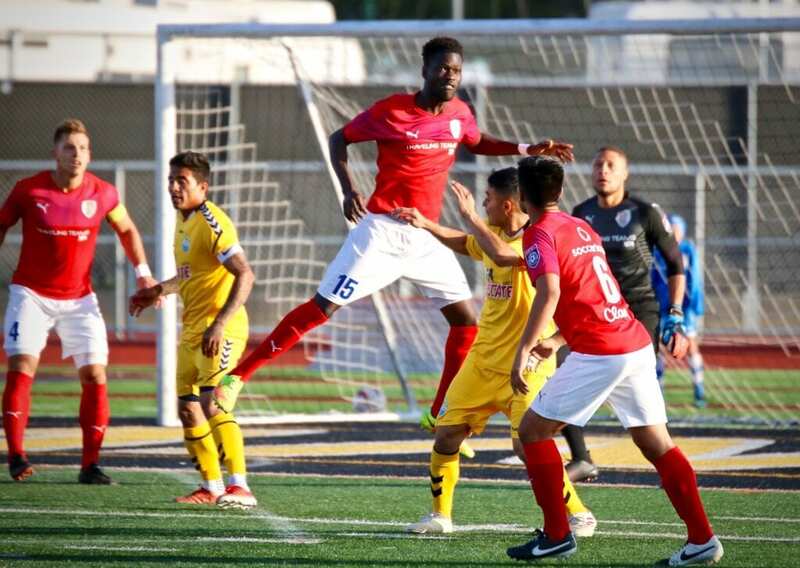 While HDEFC was able to get a couple shots off, ASC keeper Jean Antoine was able to do what he does best and stymie the away team to hold them to one goal. 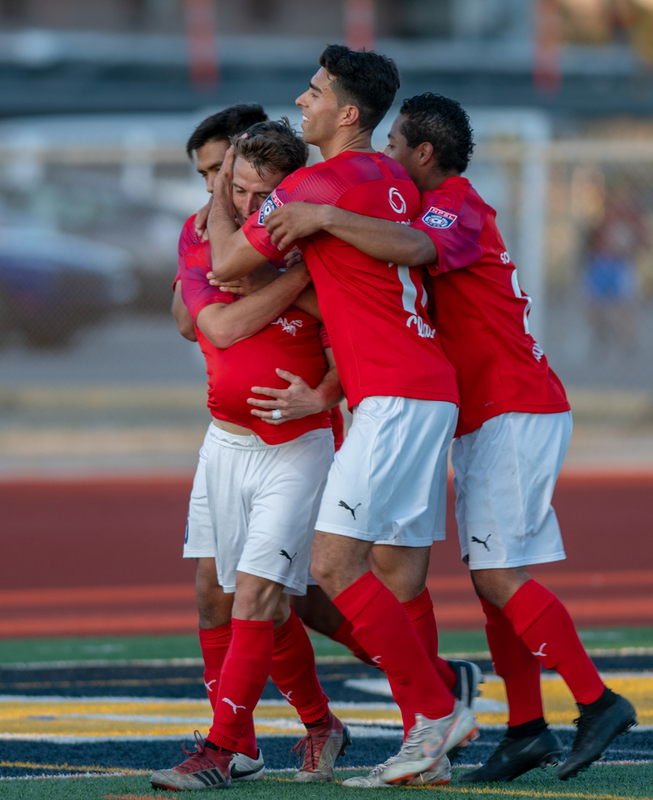 After 90 plus minutes of play ASC San Diego celebrated their victory at the expense of High Desert Elite FC who battled tenaciously the entire match. 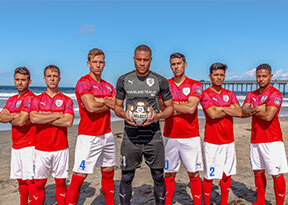 ASC San Diego will hit the road this Saturday, April 6th at 6PM against Oxnard Guerreros FC. 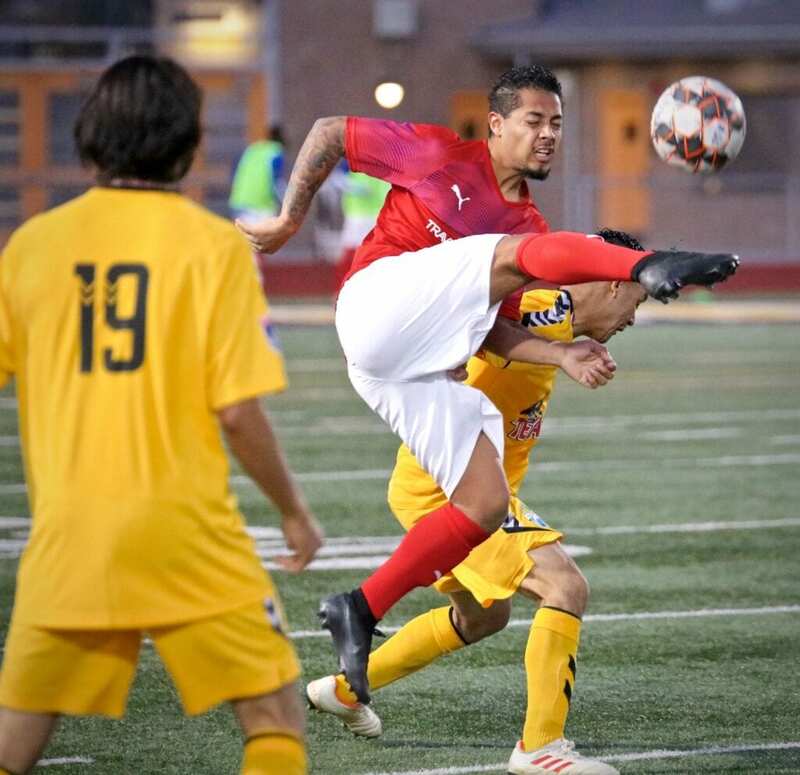 ASC San Diego will look to continue their form against Oxnard after defeating the Guerreros in both regular season matches in the 2018 NPSL season.